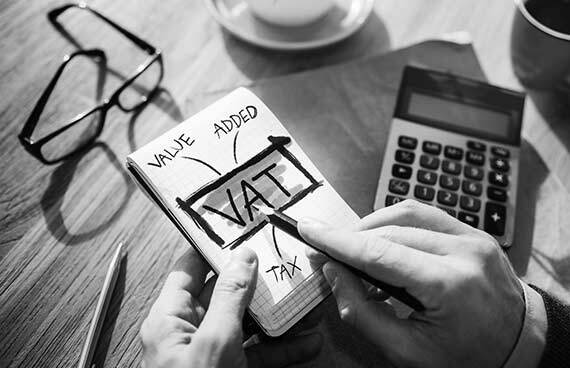 It is important that all new businesses are aware of the rules governing vat registration and apply to be registered for vat at the point when they are legally obliged to do so. Certain trades and businesses may find voluntary registration financially beneficial, even though they have no legal obligation to register for vat. It is important to check which scheme may be appropriate for your business. We can provide advice and assistance with vat registrations, in many cases we can submit vat registration forms online on our client’s behalf. MTD (Making Tax Digital) regulations mean that most VAT registered businesses must maintain complete and accurate records in a digital/electronic format to support the information provided to HMRC through their regular VAT returns. This is best achieved with the use of appropriate software as part of a good overall book-keeping and administration process. We can help businesses to keep records appropriate for their needs, as well as complying with current VAT requirements. Alternatively, we can take care of all your book-keeping and vat records. Roseworth Accountancy is registered for online filing of vat returns. Roseworth Accountancy is registered for on-line filing of VAT returns. Can we help?